Our clinic is dedicated to the removal of problematic ear wax using aural micro suction. Treatment is provided by a Specialist ENT Nurse, Joanna O'Brien. Joanna has extensive experience in performing micro suction and assessing ear problems. Manchester Ear Clinic offers microsuction performed by a Specialist ENT Nurse; Joanna O'Brien. Microsuction is the removal of ear wax/debris using microscopic vision and a gentle suction device. We are based within Manchester Physio at their clinic on St. John Street. Manchester Ear Clinic is a clinic dedicated to the removal of problematic ear wax using aural micro suction. Manchester Ear Clinic is a clinic dedicated to the removal of problematic ear wax using aural micro suction. Treatment is provided by a Specialist ENT Nurse, Joanna O'Brien. Joanna has extensive experience in performing micro suction and assessing ear problems. Until recently she managed ear clinics in the NHS and has been providing treatment at Manchester Ear clinic since 2010. Joanne went through some questions about why needed my ears syringed and then got to each ear being syringed. She even showed the evidence which was so gross, but good to see it was thorough. It took less than 20 minutes and now my ears are clean, where I can hear so much better. Will be going yearly for sure. Excellent service and care for pacients. I got my ear wax plugs removed and got good advice for the future. Arrived at a very clean and tidy clinic and literally no waiting time. Couldn't hear in my left ear, prior to this appointment. Jo fixed the problem in literally 10 minutes. Pain-free and instant relief treatment, great job and thank you very much! If you're having problems with build-up in your ears, I highly recommend this clinic! I had a blocked ear for over a week and my doctor told me to use drops for 2 weeks, after which they'd refer me to the hospital (takes another 2 weeks). I called up on a Monday morning to book in with Manchester Ear Clinic and was seen to the same day. The service was outstanding - I arrived at 3pm and was seen to as soon as I arrived. The lady went through the whole procedure and asked for past conditions etc. The procedure was painless, just imagine the sound of someone finishing a soft drink with a straw but louder. The treatment took around 15 minutes and both ears were done. Felt great after and can't recommend it enough. Well worth the Â£60 I paid. The clinic offers aural microsuction for the safe and effective removal of ear wax. Binocular vision is used to accurately extract the wax using a gentle suction device. Lengthy NHS waiting times can be avoided and pre softening of the wax is not required. Clients can arrange an appointment directly with the clinic without a GP referral. Same day appointments are often available. The clinic is located in the city centre on St John Street, located within the premises of Manchester Physio. Metered parking is available on St. John Street. 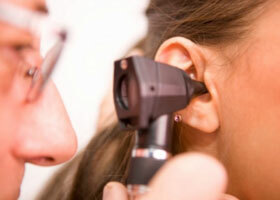 Why chose Manchester Ear Clinic? Having made the decision to have microsuction it is important to consider who will be performing your treatment. Microsuction is considered to be the 'gold standard' in wax removal due to the expertise and competency of the Clinician who perform the procedure, generally ENT Doctors and ENT Specialist nurse. Manchester Ear Clinic offers microsuction performed by a Specialist ENT Nurse, clients can be confident that they are receiving treatment from an appropriately qualified and experienced clinician.